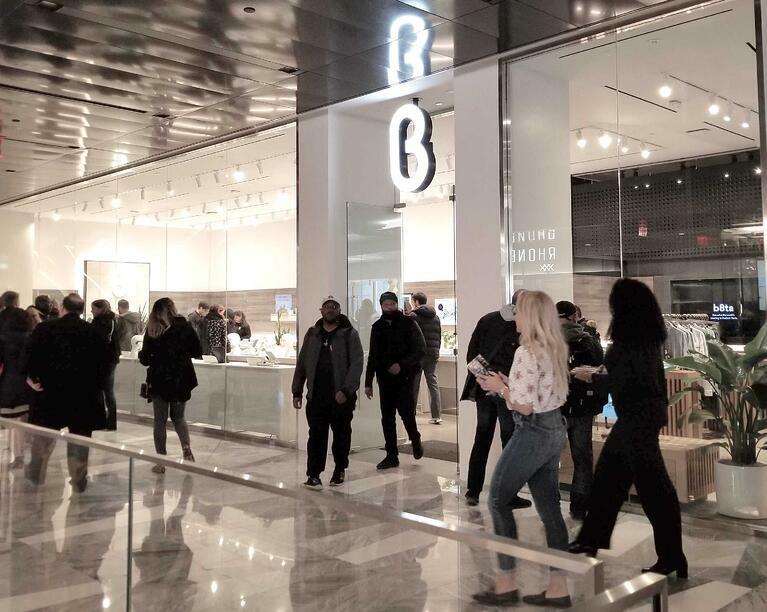 As a shopper, you're probably familiar with the unique feeling of our stores—an environment built for discovery and interaction, with some of the newest and most innovative products around. Hopefully you’ve had a chance to talk to our b8ta testers, or maybe you even took home a new gadget or two. 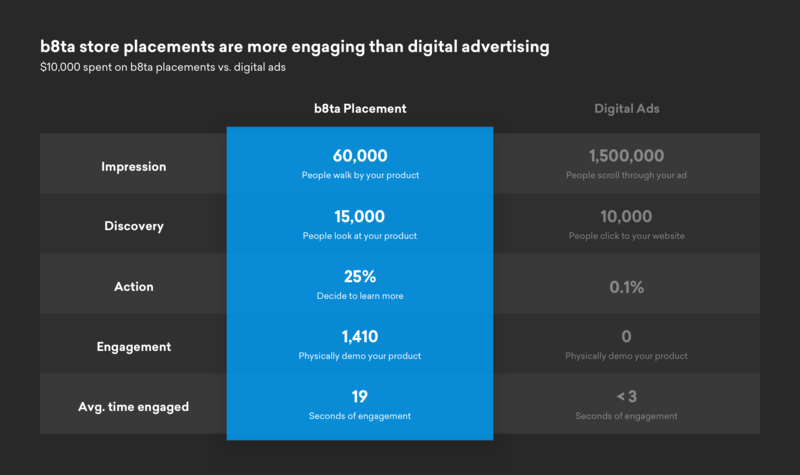 Today, so many brands are looking to digital advertising as the primary (sometimes only) method to grow their product awareness and acquire new customers. Marketers are turning to digital because traditional retail is difficult (not to mention lacking in data) and the metrics from digital ad spend make it easy to understand ROI. 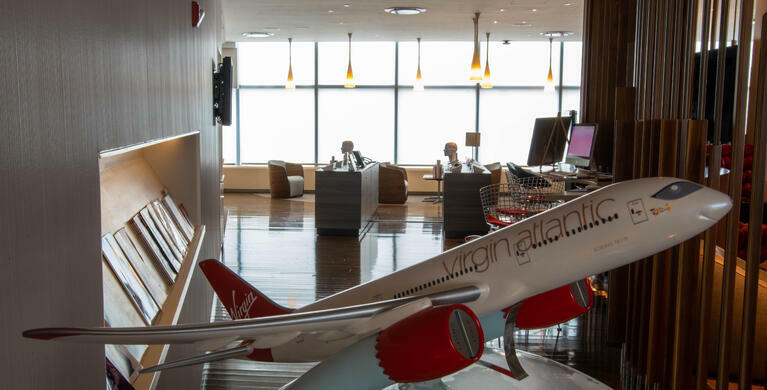 Highlights from building TED's first tech store. 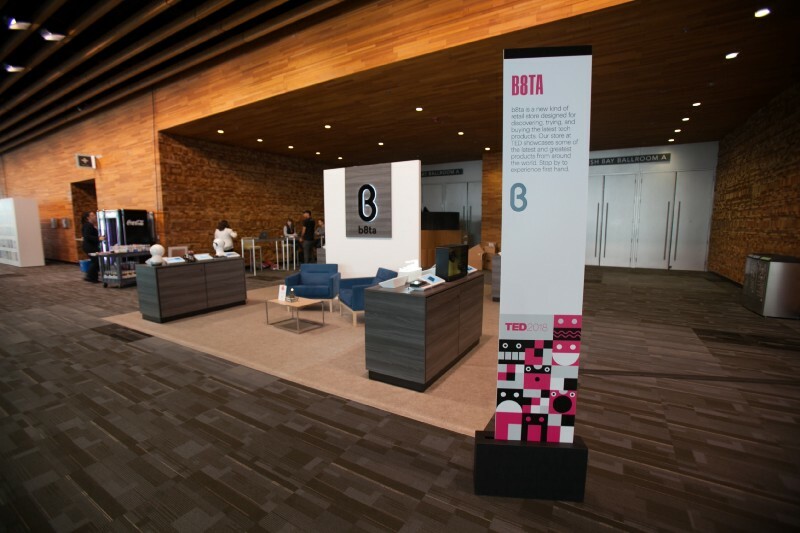 Last week, b8ta participated in one of the most influential conferences in the world: the annual TED conference in Vancouver.